Dangerous Obsession takes place on a sunny afternoon in the Home Counties. Sally Driscoll is watering her plants in the conservatory of her luxurious home. Suddenly, John Barrett appears at the door. Sally does not recognize John, but it seems that the Driscolls and the Barretts have met before. 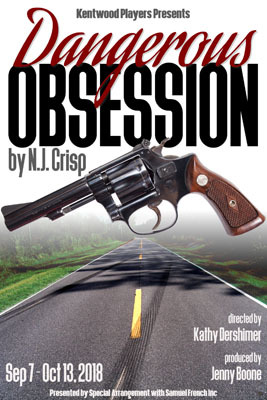 After Sally’s husband, Mark, arrives it becomes apparent that someone has a very dangerous obsession. Audiences will twist and turn with the plot in this psychological thriller.